Behind the lavish birthday parties and magical wedding celebrations comes a hefty price tag that event hosts have to analyze and settle with in order to pull off a successful event. You may also see cluster analysis examples. There’s nothing worse than hosting an event and going way over your intended budget. Without proper cost analysis, you run the risks of wasting valuable time and money on useless tasks and materials. Guessing how much something would cost and going along with anything that comes can be a recipe for disaster. The best you could do is to conduct an established cost analysis for a successful cost management plan. As the administrator of a nonprofit club, you’ve been tasked to organize a sporting charity event as your official fundraiser. There are a lot of things to get done before the big day. Everything from the venue to the catering, the advertising to the trophies and medals, need to be assessed and prepared in advance. But in order to get ready for the event, it requires expenditures of certain amounts. 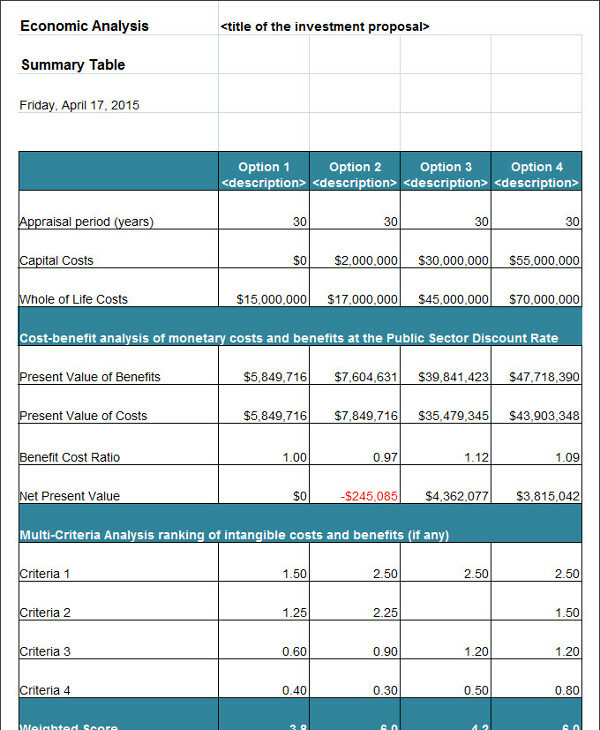 You may also see cost benefit analysis examples. There are two types of costs that event organizers must always consider: the fixed costs and the variable costs. Fixed costs are associated with the amounts that must be spent regardless of the number of people that turn up to the event. This includes the costs for the venue, advertising and promotion, trophies, along with the telephone, postage, and stationery. Variable costs, on the other hand, would depend upon the number of people who participate at the event. These costs should cover what each participant would receive, food and drinks, and other sporting materials. You may also see gap analysis examples. Evaluating these costs will help you determine how much you should charge each participant of the competition, as well as the spectators of the event. Here, you’d want to calculate the minimum number of attendees required so that the event does not lose money. This will assess whether all event costs would be covered by the event income. Though this may be a common problem that many businesses are forced to face on a daily basis, it’s not a difficult one to solve. However, it does require a bit of math and calculations, so you might want to have someone assist you if you don’t trust yourself with numbers. You may also see critical analysis examples. To put it simply, cost analysis is essential to measuring the cost-output relationship of a business or event. This will help determine the cost incurred in hiring the inputs and how well these can be managed to increase the output (or productivity) of the firm. Estimating, forecasting, and budgeting play a significant role in cost planning. This offers a projection of future costs for you to evaluate. The analysis stage of this process will allow managers to consider individual costs and related activities, while the decision stage looks into the entire cost management system and provides an opportunity to make the necessary adjustments and implement the most appropriate practices. While this cycle may seem quite comprehensive to perform, it does offer an opportunity to refine the system as a whole. You may also see data analysis report examples. Identifying costs is a crucial step in the cost management process. It begins with the basic understanding of how these costs may affect the business and the important role it plays in company operations. For instance, the consumption of direct labor, direct materials, and direct expenses are just a few of the components that classify as fixed costs. These components are vital for the business to continue operating in the market; otherwise, a cutback in costs may result to a period of retrenchment. You may also see statement analysis. Effective cost management allows us to view the cost-benefit relationship of various business activities, opening doors to more informed decisions. The proper allocation of capital and resources is critical to ensuring the financial stability of a business. Keep in mind that without cost planning, tracking, and analysis, the organization may not be able to serve its purpose in the marketplace. You may also see free analysis examples. Once these costs have been identified, the business is given the option to perform various cost recovery activities. This will help facilitate financial control for the business and its respective departments to benefit from. Say for example, government organizations choose not to recover costs that benefit the community as a whole, given how they were used to fulfill the organization’s primary mission. These services and programs may have been organized to increase property values, address social needs, provide safety, and improve the quality of life for residents of a community. But since these programs are usually covered by taxes, members of the community pay for them. Knowing this, a partial or full cost recovery would not be necessary, but a minimal fee may be appropriate for additional costs spent on the project. You may also see performance analysis report examples. 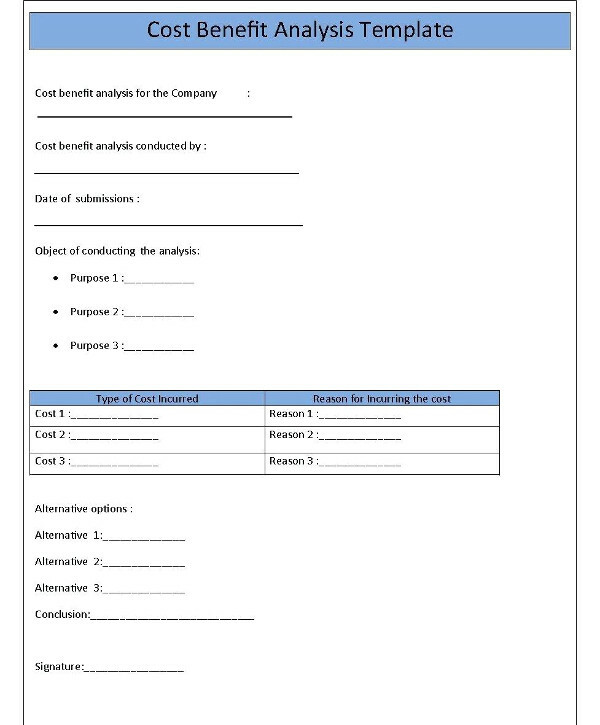 Cost analysis is essential in identifying the funds and amounts required to complete a particular project. Without it, you could end up spending a large amount of resources on unnecessary project materials. You may also see sales analysis. It’s important to assess a proposed project from every angle. In no way should you ever push through with a project without it dissecting to the core. Project investments are far from cheap, and the last thing you would want to do is to waste your money on a poor business decision. You may also see competitive analysis examples. Though identifying project costs may seem like a quick task, considering the significance of each item is crucial to finalizing the budget. This will also show the potential benefits of investing in marketing ideas, operational changes, product development, and infrastructure enhancements. By tallying all potential costs accurately, you can easily determine whether the benefits outweigh the costs and if the given investment is a good choice. You may also see industry analysis examples. 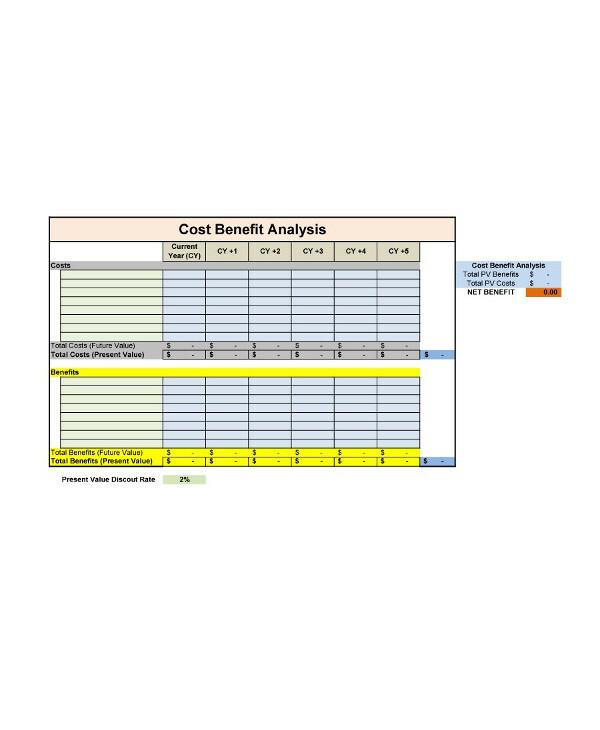 Cost analysis makes budgeting a whole lot easier and reliable. 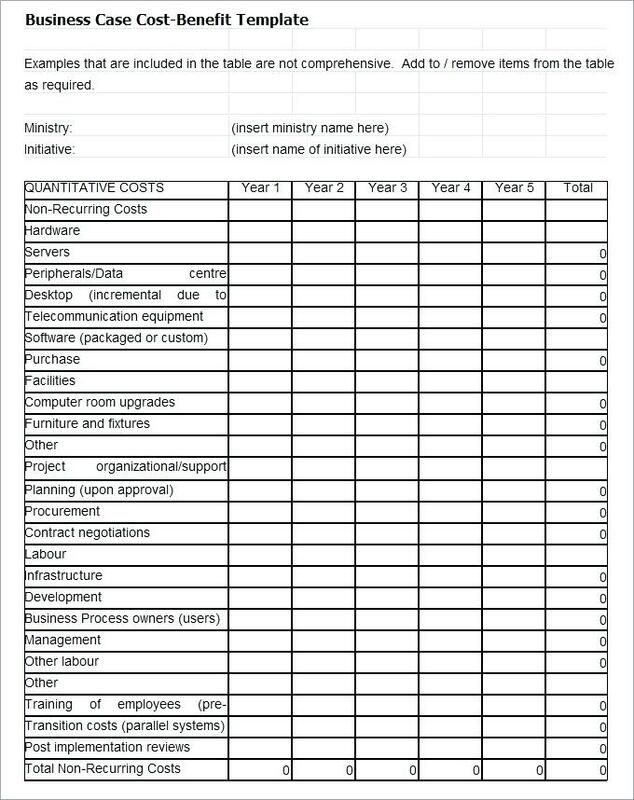 Creating a list of all the possible costs offers you a glimpse of the budget needed to undertake a project. The anticipated benefits will also demonstrate whether the project sales can be quantified into the organization’s financial goals. All these will come in handy when preparing budgets and projecting sales. You may also see behavior analysis overview and examples. We’ve all established the fact that money does not grow on trees. Many business capitals are generated from bank loans or client investments, which means that a waste in these resources could result to damaging financial effects for the organization to recover from. You may also see operational analysis examples. With proper cost analysis, you can examine profitable projects for possible benefits and see which should be prioritized first. Large projects often take months or even years to accomplish, so expenses are ongoing and could be increasing due to unforeseen price hikes or project changes. If you want to make the most out of your investments, making well-informed decisions based on research and analysis is extremely important. 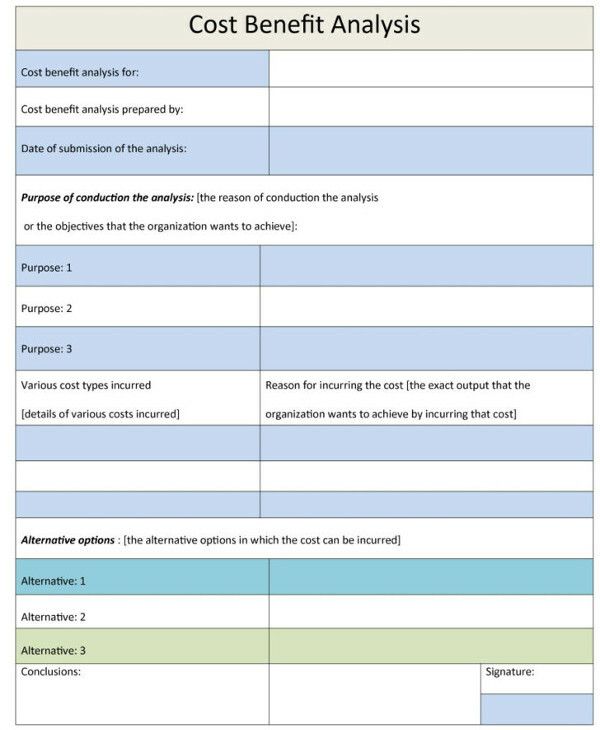 You may also see manager swot analysis examples. 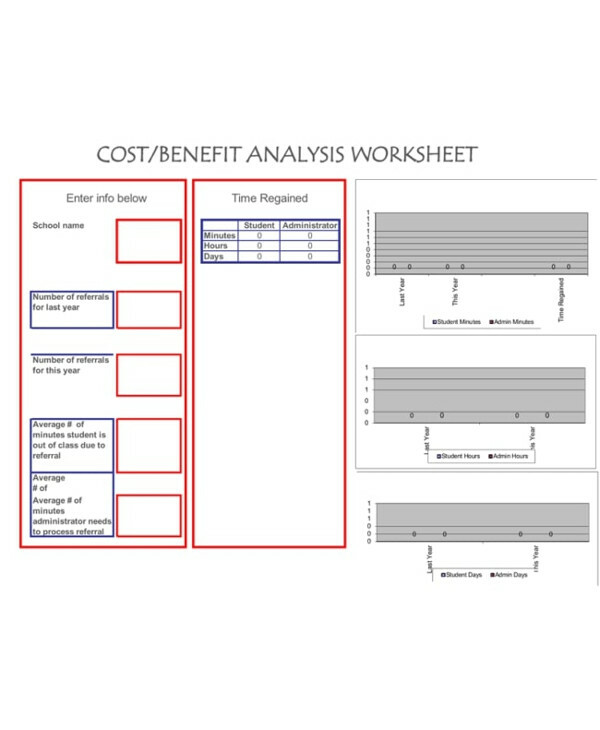 Analyzing these costs and their potential benefits help pave the way for the organization to set benchmarks and goals for the project itself. These goals don’t always concern the financial aspect of a business, as it may also be associated with time, productivity, and other management goals. Keep in mind that whatever the company spends on may potentially affect other organizational departments. You may also see internal audit swot analysis. For instance, if a company invests a majority of its resources on a promising project, but only generated half of its expected revenue, then the company may be forced to cut back on other costs. This is why it’s important for the organization to be practical with its decisions, and set specific, measurable, attainable, realistic, and time-bound goals (SMART goals) for everyone of its departments. Planning and organizing any type of event can get pretty stressful along the way, especially when you’re forced to stick with a strict budget that’s nearly impossible not to exceed even for a dime or two. 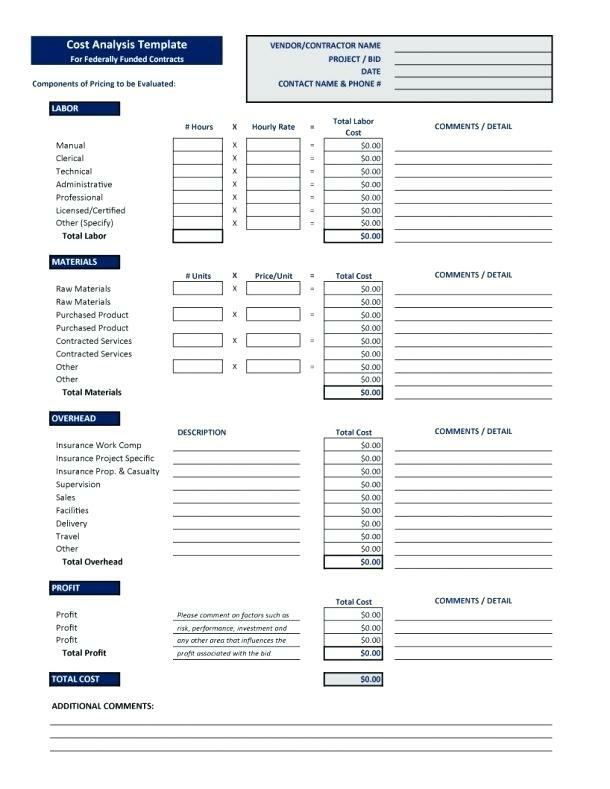 Once you have finished with your cost analysis, budgeting will help you determine whether your numbers are accurate. You may also see financial health analysis examples. It’s always best to start as early as possible, especially if you want to determine whether your event is going to be feasible or not. Putting together a rough budget is a lot challenging than you could imagine. It would be best to study figures from past events that are similar to the one you are planning for now to establish a reliable baseline for your budget. You may also fault tree analysis examples. Make a draft for your budget plan and have it reviewed by your clients and boss for the green light. If all goes well, you can proceed to next step of the planning process. 2. 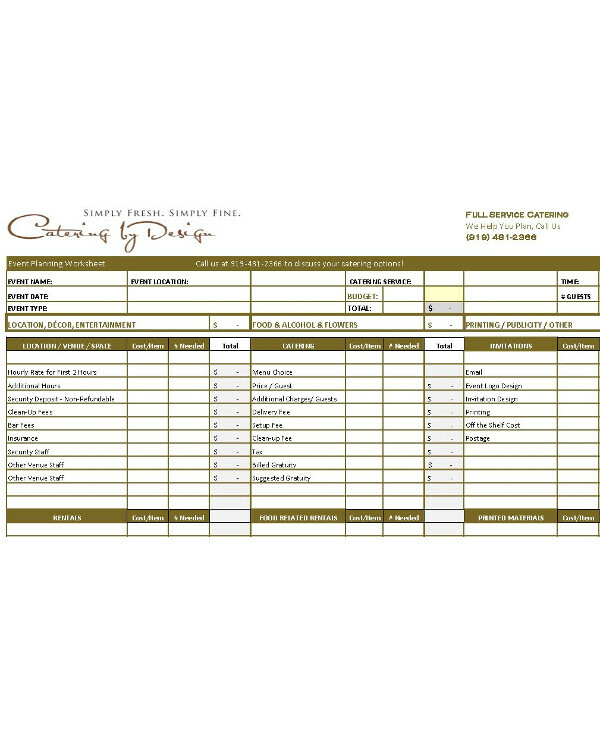 Update your budget sheet regularly. Make it a habit to check your budget sheet at least once every day. You need to keep track of expenses, price changes, and new developments in real-time, rather than waiting until the last minute to make a move. It’s way too easy to misplace or lose receipts and quotes essential to your cost and budget analysis, so you need to make sure that your team stays on top of things to avoid any potential mishaps. You may also see investment analysis examples. 3. Gather multiple quotes on vendors. We all know that market products and services are sometimes offered at a pricier rate by some businesses than others. This is one factor that must be considered when deciding which vendors to work with. Even if you already have a vendor in mind, you’re still likely to find someone who’d be happier to supply you with the same services at a lower rate. Research is a key negotiation tool that will benefit your company strategically and financially. You may also see hospital swot analysis examples. While this may influence the numbers generated from your initial cost analysis, you can allocate the excess money toward other potential project expenses. 4. Prepare for the unexpected. You might want to have a contingency plan in place, just in case some event fees are slightly higher than what you had anticipated. Adding a contingency allowance to your budget also gives you enough breathing room to absorb unexpected costs. You may also see regression analysis examples. Like for instance, hosting an outdoor event is a risky task, as weather conditions can quickly change despite what was indicated during last week’s forecast. If weather conditions take a turn for the worse, you might be forced to settle a few add-on costs at the last minute for tents, umbrellas, and water-resistant gear. You may also see organizational analysis examples. 5. Look for additional sources of income. Given how sponsors play an important part in streaming revenue, you need to be inventive with your efforts. Find out what your sponsors want and collaborate with them to form a valuable partnership. 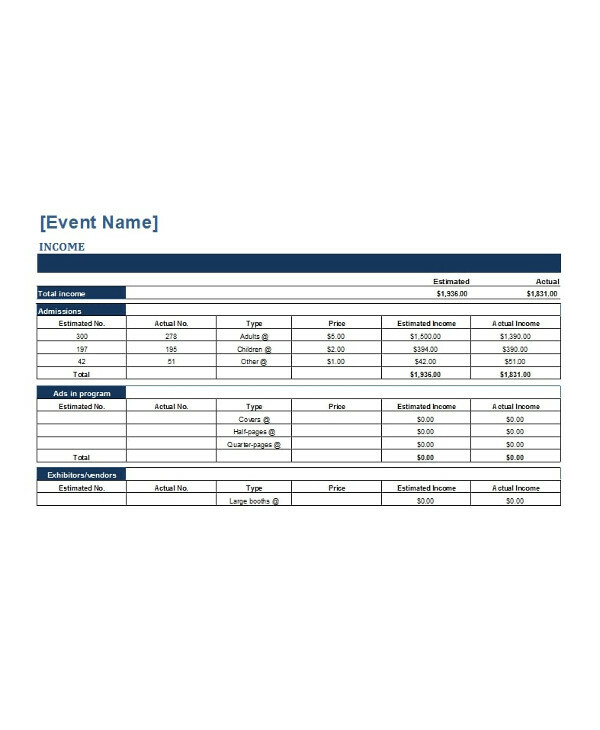 You can even collaborate with other events happening in the same venue to share on equipment costs. While there’s no guarantee that these collaborative efforts would be successful, it wouldn’t hurt to try. You may also see impact analysis examples. 6. Become a spreadsheet expert. Don’t let the calculations of your cost and budget analysis lie around randomly. It’s best to set up an official document containing all income and expenditure. Every single expense for the event must be reflected in the document. Be sure to set targets beforehand, and see how many tickets to sell based on your analysis, along with how much sponsorship revenue was generated, and how much percentage of the budget was saved during previous year. You may also see feasibility analysis examples. The great thing about spreadsheets is that they allow you to use formulas and perform calculations with ease. This will also make it easier to assess current profit or loss in real time as you continue to update your budget. 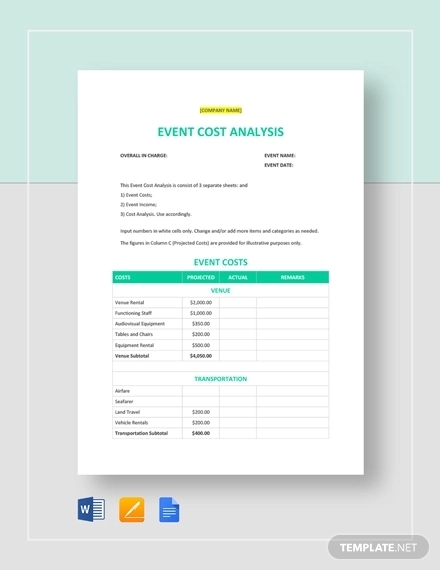 Understanding the basics of cost analysis will help us budget the expenses of a proposed event effectively. For this reason, it’s important to stay focused throughout the process to obtain accurate results. So if you ever find yourself in need of a cost analysis for your next event, make sure to keep our guidelines and examples in mind. 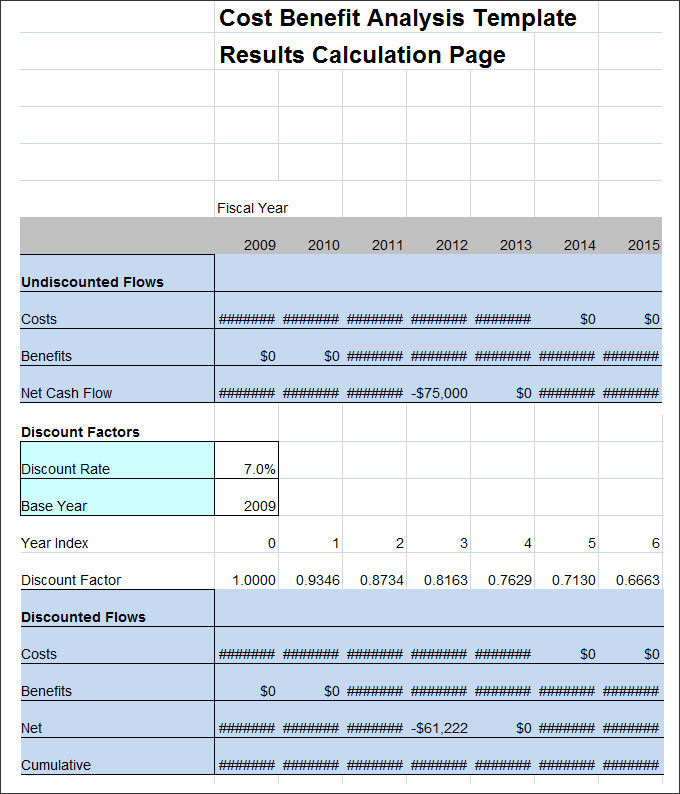 You may also see financial analysis examples.